Maringka Baker, Minyma Kutjara Tjukurpa, 2018. Synthetic polymer paint on canvas, 167 x 200cm. Courtesy: Tjungu Palya, SA. 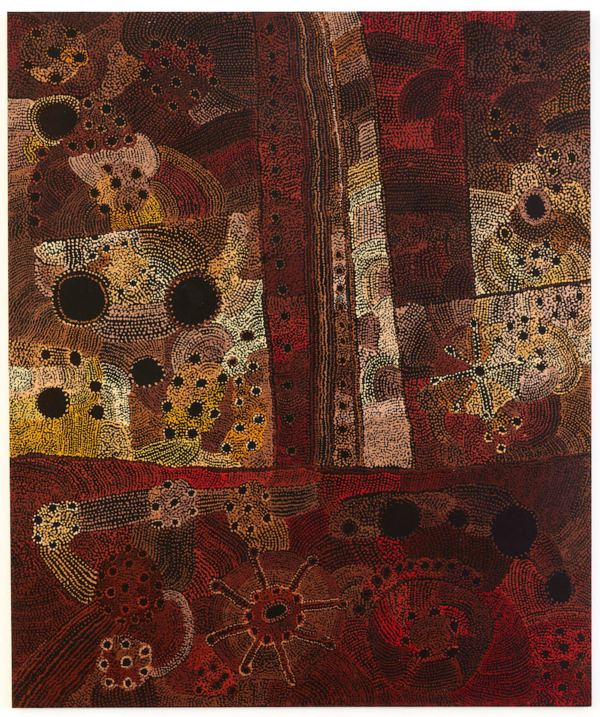 Vivien Anderson Gallery presents its annual exhibition of selected leading and emerging Aboriginal and Torres Strait Islander women artists in celebration of their contribution to Australian and international visual arts and culture. Sign up to receive the latest updates on this artist including exhibitions, VIP previews, landmark events, news and milestones.